This has gotta be Jet-Puffed brand. 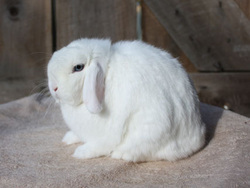 Bunny featured is a BEW eyed white Holland Lop. Photo by Huckleberry Hollands.